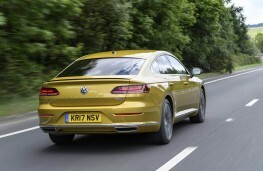 VOLKSWAGEN is raising its game again. 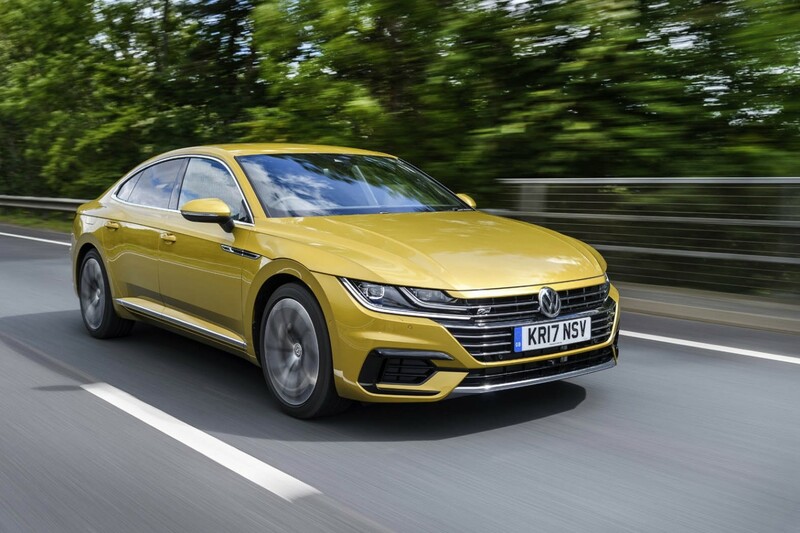 Introduced in late 2017, the Arteon flagship of the marque is steadily expanding and today runs to over 20 variants in the UK. 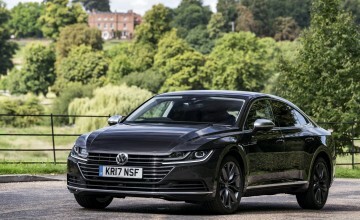 There are seven petrol or diesel engine and powertrain options including manual, automatic and two-wheel-drive (2WD) or four-wheel-drive (4WD) versions in two trim levels in a single five-door bodystyle. 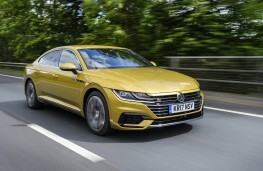 Using the modular VW platform, the Arteon sits above the Passat series, and effectively replaced the ill-fated Phaeton which went off the showroom floor in 2016. 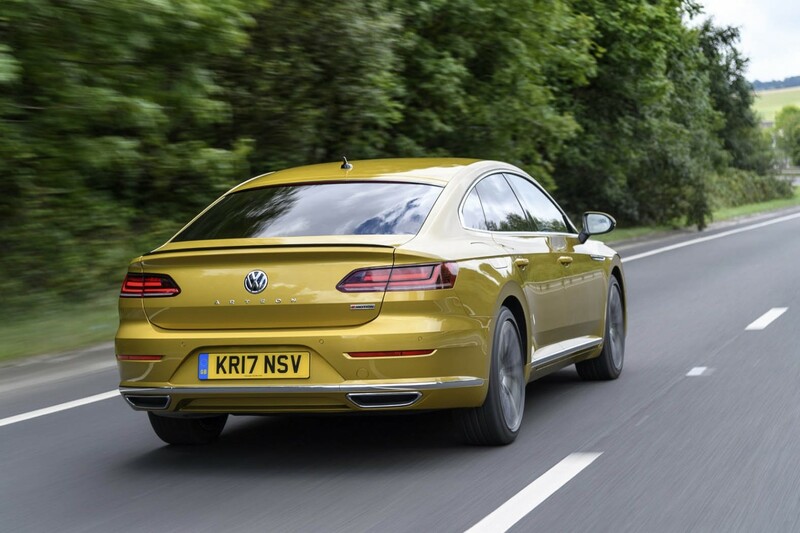 Our mid-range car in its turmeric yellow paint finish and higher R-Line sporting trim never failed to turn heads and produce comments, nearly all favourable. 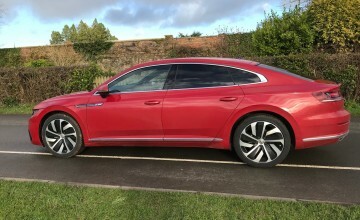 That is also because it is a big car but also a very sleek-looking model and this helps achieve the good fuel economy we saw on test. 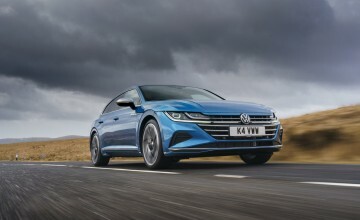 The well-developed clean 2.0 turbo-diesel engine was a little hesitant to start on the button and gave a modest 190ps output but that was good enough to attain a respectable acceleration from rest and through the gears when overtaking. 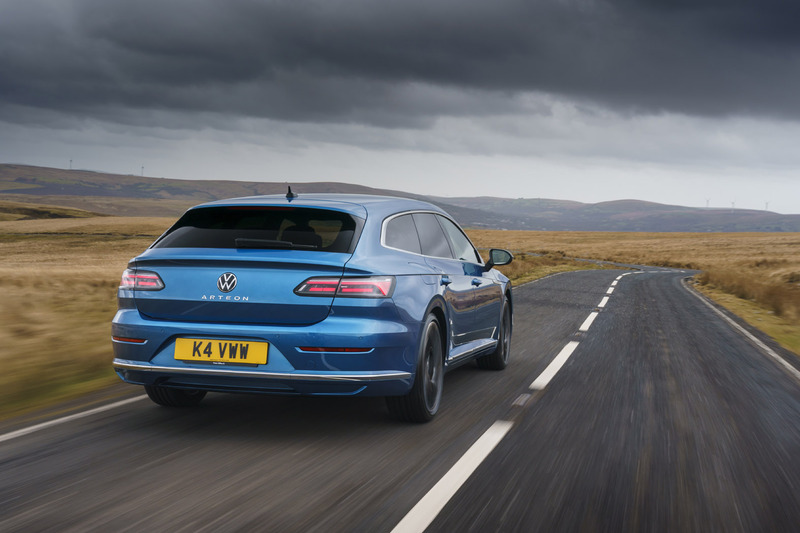 It fairly galloped along motorways and main roads and the seven-speed DSG gearbox was extremely responsive for overtaking, very smooth and quiet in operation, and had a manual mode if desired. The engine was also smooth and fairly quiet and the combination worked well to shrink miles without wearing down the driver. Our car had front wheel drive only and it showed good grip and agility with a vice-free handling nature but for the ultimate in grip you'd have to move into a 4WD version and bear the additional cost if you really needed it. 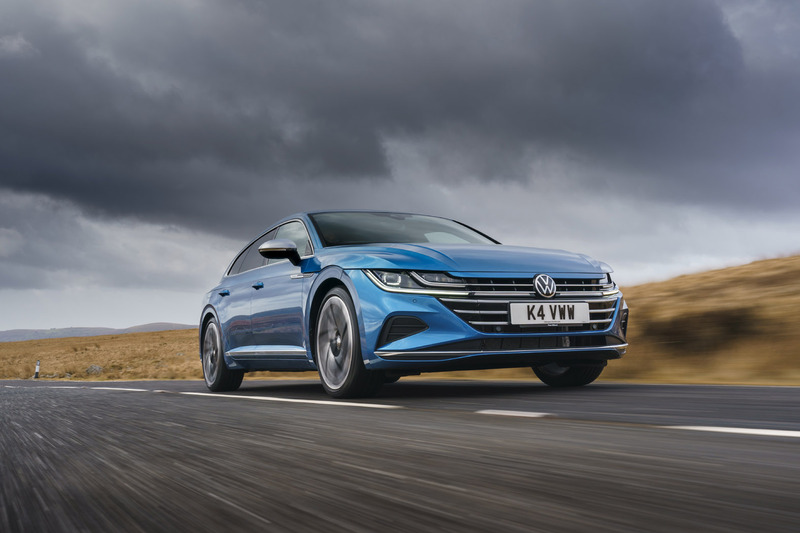 There is no denying the steering and brakes reinforced the assured stance of the Arteon, needed little effort to feed back a strong and efficient response and were particularly smooth. Secondary controls were all grouped on the wheelspokes, console or fascia with a medium sized very clear infotainment touchscreen in the centre of the dash while a familiar instruments' display infront of the driver conveyed the essentials and a range of readings which could be scrolled into view. All were clear and logical. It's also packed with the latest safety features and creature comfort makers for communication and entertainment on the move, through a wifi network. The heating and ventilation was via push-buttons below the central info screen, easy to understand and use, effective and backed up by powered windows and sunroof, although the glass roof is an optional extra. 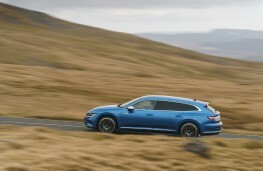 Visibility was very good with a low waistline and large windows and helped by the extensive camera system, another extra. Very good intelligent turning headlights and wipers were also appreciated. Access was easy throughout and the bootspace opened from knee-height to reveal a big space even before the seatbacks were folded. Inside, the oddments room was good with bins on the doors, on the central console and seatbacks, as well as a large glovebox. 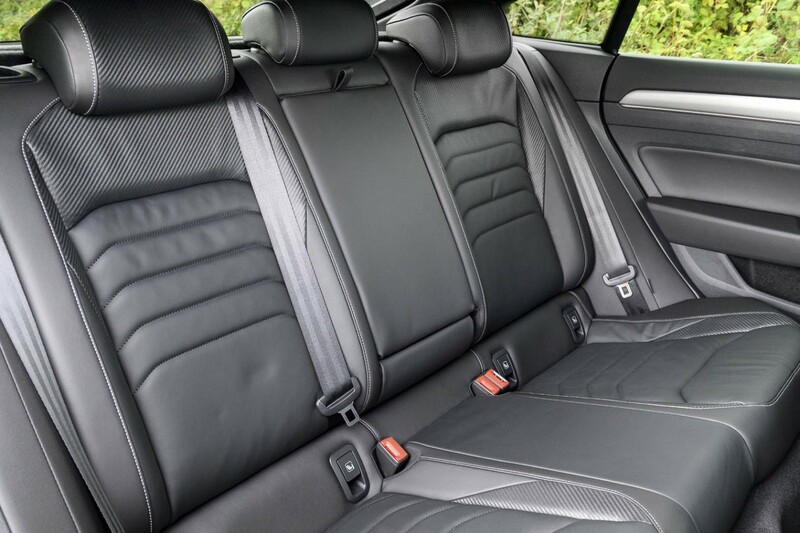 It's an extremely roomy car whether infront or in any of the three back seats and the boot is capable of taking a number of cases for a holiday. Seats included a multi-adjustable electric option and they were very well shaped and supremely comfortable and supporting under the legs and around the back. 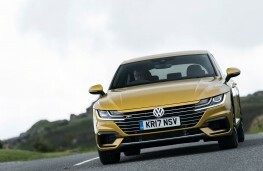 Which brings us to the ride of the VW Arteon. 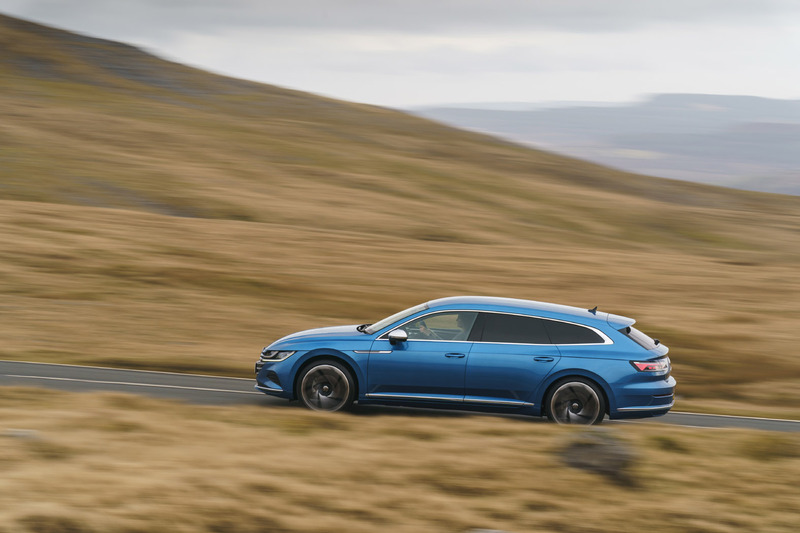 With the test car's 19-inch wheels and tyres there was a hardness about the system picking up every ripple and recess, particularly at lower speed, but it genuinely was very smooth on most main roads. The suspension settings were definitely on the stiffer side and reflected the R-Line trim as well as to complement potential performance on motorways. There are four selectable ride settings adding eco to comfort and dynamic but it was the normal setting which proved the most diverse. In the daytime, the uniformly dark interior may not be to everyone's liking but at night the interior illumination transformed the cabin into a light-feist with colour and brightness in abundance set against that black background. There is no getting away from it, the VW Arteon is a distinctive and desirable car to have, a big car with good performance but a modest thirst, easy to drive and fairly comfortable most of the time, but its expensive to up-spec items and the warranty is average for today's market.